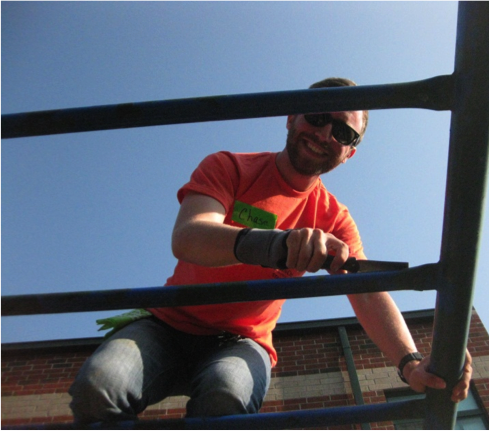 Chase Davenport joined Hands On Nashville’s Home Energy Savings Program (HES) team in May 2014 as an AmeriCorps VISTA. Hailing from Humboldt, Tennessee, Chase earned his Bachelor of Arts degree in English from Austin Peay State University in 2013 before embarking on this next chapter. The decision to serve as a VISTA, Chase said, felt like the right thing to do. Chase led many capacity-building efforts for the HES program during his term. He developed relationships with homeowners, scheduled energy audits, added insulation to homes, led 300 volunteers, and engaged the community and other nonprofits to expand the impact the projects could have on the quality of life for homeowners. With Hands On Nashville, Chase worked to make a difference for those community members. 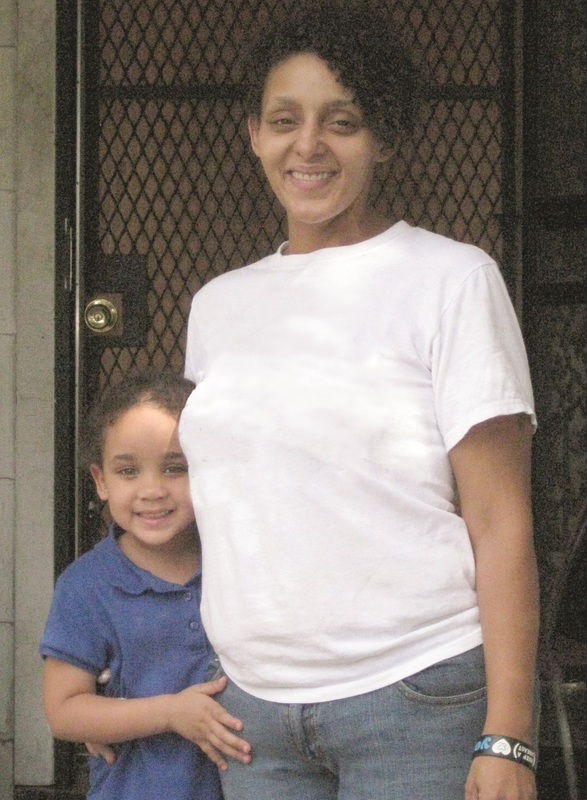 During Chase’s year of project leadership and community engagement, 50 homeowners received energy-efficiency upgrades. On average, homeowners experience $455 dollars in utility savings each year as result of this work. Chase’s term with Hands On Nashville ends this May. Thank you, Chase, for an outstanding year of service to Nashvillians as a Home Energy Savings VISTA – you truly made a difference. We wish you the best in your future endeavors! Hands On Nashville President and CEO Brian Williams accepts grant at first-ever HandsOn Network Innovation and Social Impact Forum. ATLANTA (June 17, 2014) – Volunteer service organizations from across America are leaving Points of Light’s Conference on Volunteering and Service this week with $100,000 to implement innovative, high-impact programs, thanks to an ongoing commitment to volunteer service by JPMorgan Chase & Co.
Four volunteer organizations participated in the first-ever HandsOn Network Innovation and Social Impact Forum, supported by JPMorgan Chase, where they competed before a panel of service leaders for a top grant of $50,000. The remaining three organizations shared $50,000 in grants to enhance their volunteer programs. Hands On Nashville was awarded a $50,000 grant to continue growing its Home Energy Savings Program, which engages volunteers in improving the energy efficiency, comfort and safety of Nashville homes owned and occupied by low-income homeowners. Other volunteer service organizations receiving grants included the Volunteer Center of Santa Cruz County (CA), HandsOn Twin Cities (MN) and HandsOn Genesee (MI). The Innovation and Social Impact Forum was part of the Business Track at Points of Light’s Conference on Volunteering and Service, which unites thousands of volunteer and service leaders from around the world each year. At the forum, candidates each had 10 minutes to promote their organization and answer questions before a panel of judges including Lamman Rucker from Tyler Perry’s Meet the Browns; Laura Turner Seydel of Captain Planet Foundation; Taproot Foundation President and CEO Liz Hamburg; and Coxe Curry & Associates Senior Consultant Ann Cramer. Moderating the panel was Joe Sibilia, CEO of CSRWire. JPMorgan Chase and Points of Light, the world’s largest organization devoted to volunteer service, have a history of collaborating to find new ways to support and facilitate volunteer service. At last year’s Conference on Volunteering and Service, JPMorgan Chase and Points of Light kicked off a nationwide One America tour focused on uniting unlikely allies to help students succeed, tackle food insecurity and improve the environment. For more about the Conference on Volunteering and Service, visit www.pointsoflight.org or www.volunteeringandservice.org. Points of Light – the world’s largest organization dedicated to volunteer service – mobilizes millions of people to take action that is changing the world. Through affiliates in 250 cities and partnerships with thousands of nonprofits and corporations, Points of Light engages more than 4 million volunteers in 30 million hours of service each year. We put people at the center of change. For more information, go to http://www.pointsoflight.org.